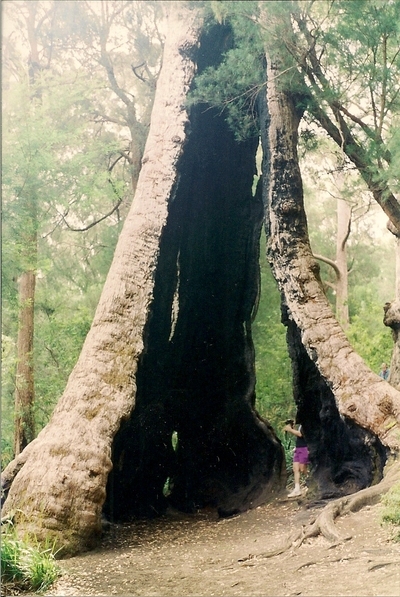 The south west region in Western Australia contain some of the largest and most unique trees in the world. 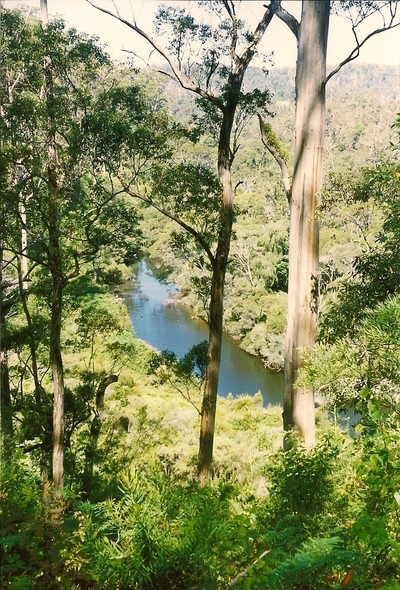 The smooth bark karri tree can grow up to 90 metres in height, making it one of the world's tallest hardwood trees. Surrounding the small towns in this region are numerous national parks which protect some of these giants. 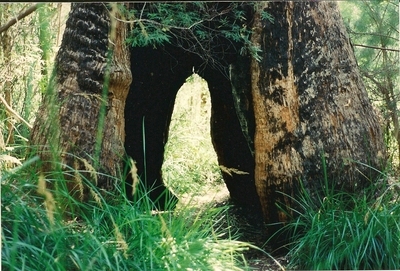 There are many walk trails to choose from that allow you to appreciate these majestic trees in your own time. The Warren National Park, near the town of Pemberton has some unusual sights that are well worth the short drive on a gravel track to reach them. 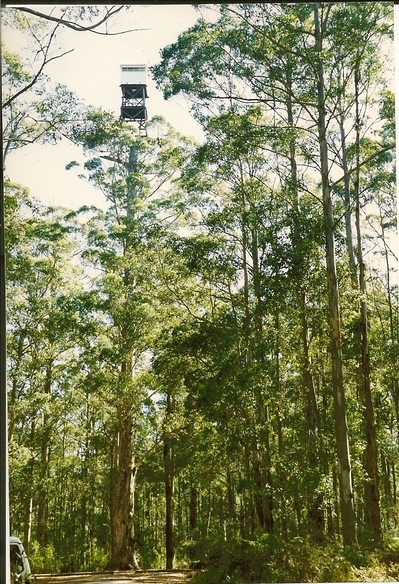 During the 1930's to 1940's some of the taller trees had lookout towers built at their tops for spotters to look for fires. Now no longer used for spotting fires, you may climb some of these trees by spikes that spiral around the trees, to reach the top if you are brave enough. The Heartbreak Trail is a great driving trail with camping spots throughout. You can walk along this trail or canoe in the river below. 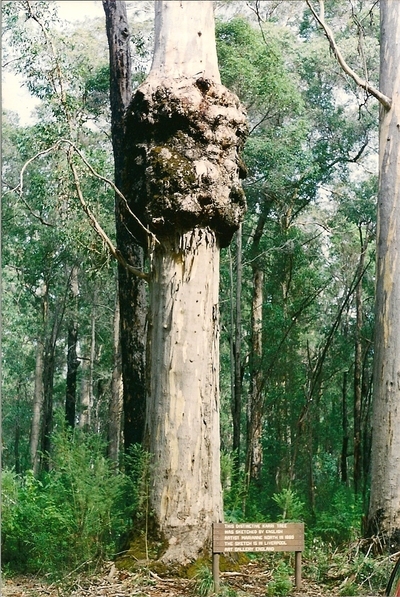 The Marinane North Tree, named after the English naturalist and botanical artist, has a large bulging knob halfway up its trunk. It is a popular photographers stop. 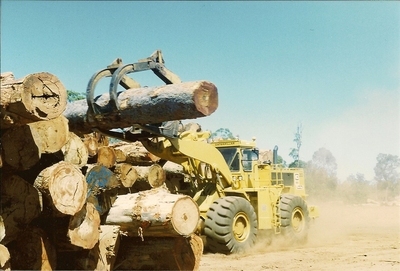 There are still a small number of logging mills around the district that are allowed to mill a limited number of trees. Some of the towns were built originally based on logging last century, but have turned to tourism today. Most national parks have a daily charge of $11 to enter or you can purchase a four week pass for $40 allowing unlimited entries to all parks during that time. Pemberton is over 330 km from Perth. It would be a four hour drive but as there are towns and many wineries throughout the region, a leisurely drive is preferable. As a bonus, if you visit between September to October you will see a stunning display of wildflowers throughout the forest areas. Do you watch black and white movies?